It’s getting summer, and – as usual – Gastown is getting swamped by tourists and photographers alike. There is this one guy, for example: I have been watching him for over a year now. 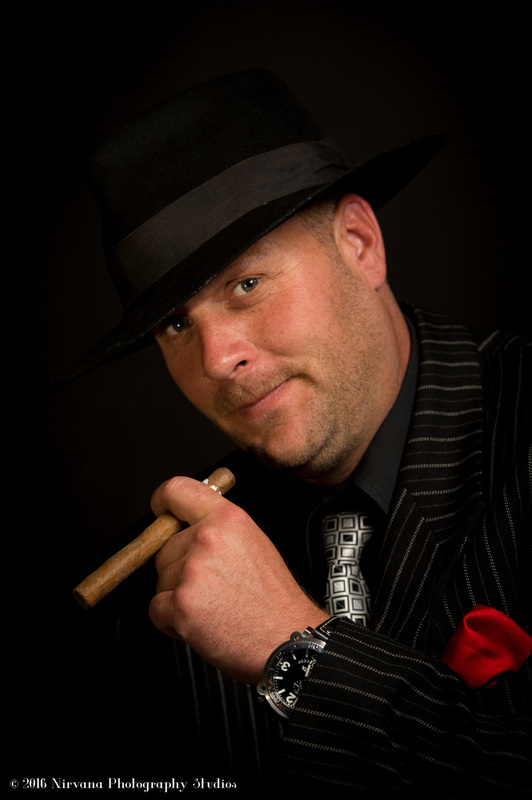 He brings his clients into town, all the way from Surrey, and can always be found at the same three spots, doing the same poses with his clients. They are great spots, don’t get me wrong. I am sure the pictures are very whimsical and capture “Vancouver’s flair”. I am sure many of you are putting lots of effort into their wedding planning. We see a lot of our couples get incredibly creative. Hundreds of origami cranes? Wow… Custom designed cake toppers? Yes please… Everything to personalize your big day and make things…. well.. YOU. I get it, we all need pictures that are “grandma friendly”, and look classy on the “safe the date cards”. No worries, lets take those and get it out of the way. Now lets have some FUN. What makes the two of you uniquely YOU? Cheryl and Brad are into old Hollywood gangster movies. So we found an amazing costume store, own by a crusty old lady who had isles and isles of theater grade costumes, ordered by century. We shot at the old train yard, in a seedy bar, and the studio of course, before heading out to the beach for the more “traditional” pictures for grandma. Make sure you watch it til the end…. Jo and David met in a video game. He is from Missouri and Jo is from Vancouver. Both are, unsurprisingly, big gamers and fans of the fantasy genre. More specifically, Jo is a big fan of pixies and ferries (yes, I learned there IS a big difference), and David is her “knight”, who’s family has a old family crest. 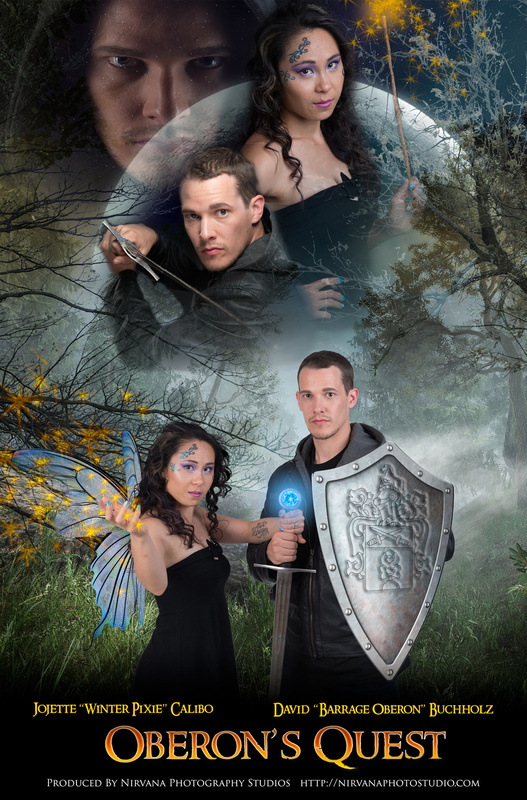 Our first concept actually didn’t work out as expected, so we decided to shoot a movie poster for a fantasy movie. Wonder where the title came from? Well, her gamer name is “Winter Pixie”, while his is “Oberon”… so there…. 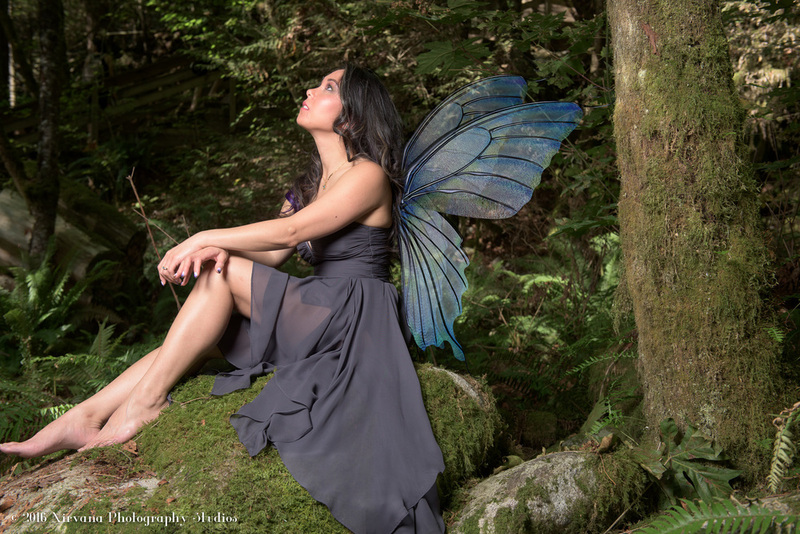 Oh, and just for fun, we decided to create a separate pixie shoot for her, in Lynn valley. What do you think? Jenn and Darryl got engaged on their first vacation together, in London. So London is important for them. In addition, pumpkins are very significant, as both are huge Halloween fans and Darryl carved “will you marry me” into pumpkins on Halloween. That’s dedication for you. Also, two very special childhood friends (a puppet and a stuffed animal) had to be in the picture. Oh, and please lets shoot it in the beach and add a surreal element a la “Alice in Wonderland in it. Jen liked photo frames floating in the air. Last, but not least, we have Tara and Bryan. 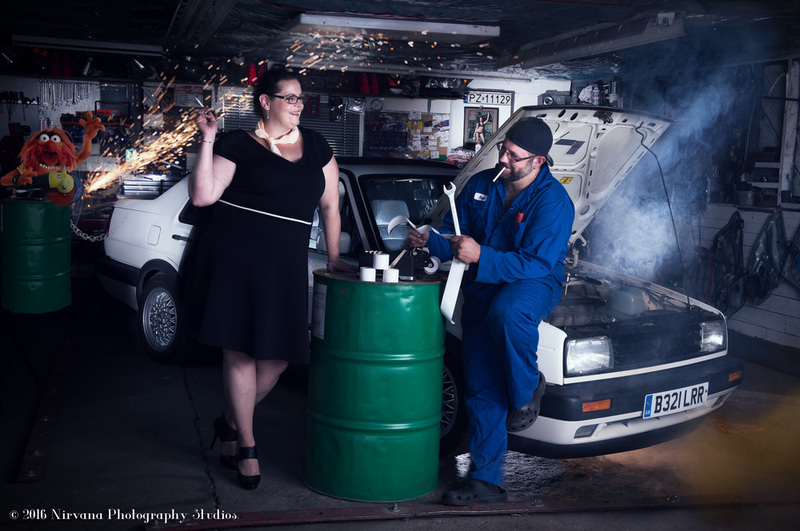 Tara is an accountant, Bryan a mechanic and vintage car collector. Over (many) beers we arrived at the following concept: The shoot is set in a garage. Bryan is wrenching on an old beater, which has smoke coming out from underneath the hood. There is an ominous glow, possibly fire, coming out from underneath the car. Tara, all the while, is managing the finances. Dressed in a “mad men” style dress, with an old school mechanical calculator, roll-paper just flying out of it and everywhere. Added twist: Bryan is a big fan of the Muppets. Specifically: Animal. We had to promise him to include the “animal” character in the shoot, how we did it was our problem. So… where is waldo? … What do you think? Please leave a comment – what ideas do you have for YOUR engagement shoot?